This chair features seat and back cushions that are contoured and extra-thick for support that fits to your form. Includes a headrest to reduce neck fatigue. Chair features genuine leather for a distinguished addition to your home or office. Features pneumatic height adjustment. Just tap the lever for instant adjustment of your seat height. Seat raises from 19" to 23". Adjustable tilt tension control for extra-comfort. Passive ergonomic seating with built in lumbar support. Dimensions: Seat: 20.5"W x 20"D; Back: 20.5"W x 27"H. Manufacturers 6 year limited warranty. 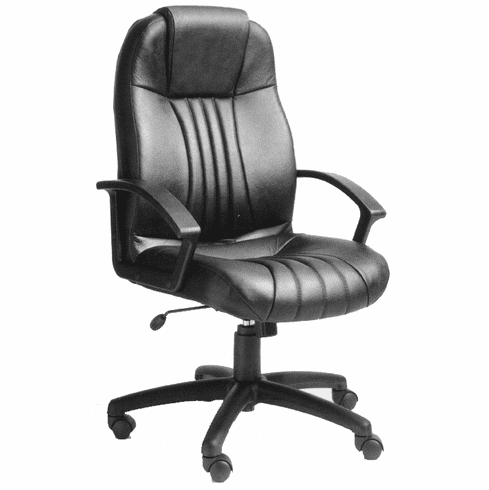 This chair normally ships within 2 business days from our GA or CA warehouse.